Dr. Fox was born in Denver, Colorado. He relocated at a young age to Naples, Florida where he graduated from Naples High School. He subsequently attended Middlebury College in Middlebury, Vermont. He double majored in biology and history and graduated with honors in ’88. His professional training included a dental degree from the University of Pennsylvania in Philadelphia, PA. He also graduated from a hospital based general practice residency program from the University of Rochester in Rochester, NY. 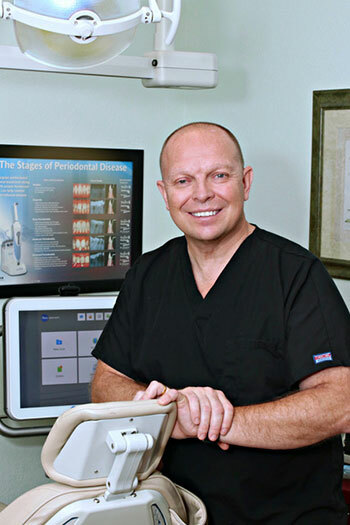 Dr fox is a graduate of the prestigious University of Florida Implant Educators post graduate training program. In addition to his formal education, Dr. Fox has attended many hours of continuing education in areas including cosmetic dentistry, advanced root canal treatment, minor oral surgery, pediatric dental treatment, oral medicine, implant dentistry and oral radiography. Dr. Fox is currently a member of the Florida Dental Association. He is also a member of the Academy of General Dentistry and former President of the Kennebec Valley Dental Society (Maine) and current president of Charlotte County Dental Society (Florida). He is currently a member of the Florida Dental Association House of Delegates. Dr. Fox’s community service involvement has included membership in the Punta Gorda Historical Society, Punta Gorda Kiwanis Club, Quail Forever Conservation Organization and the City of Punta Gorda Charter Review Committee. He has also been actively involved with the Charlotte County school system working to improve oral hygiene education in the local elementary schools. Dr Fox resides in the Punta Gorda’s historic district with his wife and they have two grown sons that are currently attending college. His personal interests include biking, hunting, fishing, boating, kayaking and camping in his vintage 1964 Airstream. He speaks fluent Swedish and is a member of the Swedish Club of Sarasota. The goal of his practice is to provide state of the art treatment in a relaxed environment. He is also strongly committed to working for the betterment of the community. Kerstin was born in Stockholm, Sweden. She graduated from University of Uppsala, Sweden with a bachelor’s degree in physical therapy in 1990. In 1991, she decided to pursue a career in the US and practiced as a physical therapist for a number of years in Pennsylvania, New York and Maine. In addition to her physical therapy degree, Kerstin also attended Edison College, Drexel University, and University of St. Augustine, for classes in business, marketing, computer and professional communication. In addition to working as the office business manager, Kerstin is a Florida and Maine licenced physical therapist as well as a Certified Health Coach. Kerstin's many responsibilities include book keeping, human resource and marketing. In her spare time, Kerstin enjoys jogging, swimming and weight lifting, as well as good dinners with family and friends. She also truly enjoys reading, going to the beach, and travelling . Kerstin is a member of the Swedish Club of Sarasota. 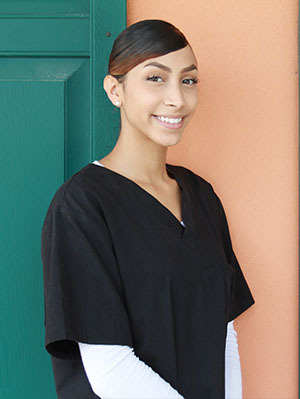 Eve-Ann is a graduate of Edison College Dental Hygiene program in Ft. Myers, Florida. She successfully completed her national and Florida state clinical exams with scores above the national average. She brings to the practice a 20 year medical experience in an array of settings working with adults and children. Along with her Dental Hygiene license, she also holds a current Florida radiology technology license. Eve-Ann is CPR certified, holds certificates in expanded functions and nitrous oxide administration. 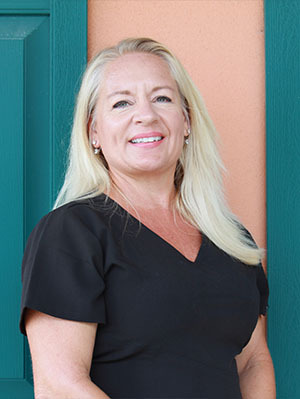 She has experience in Dental Assisting and as an alternate delegate for the American Dental Hygiene Association West Coast District, supported hygienists in the State of Florida. 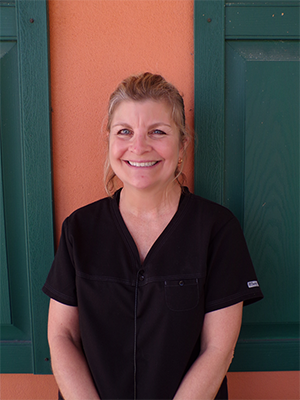 Most recently Eve-Ann has joined the volunteer staff at the Senior Friendship Center in Venice, Florida where she volunteers as a dental hygienist. She resides in Punta Gorda, Florida. On a personal basis, Eve-Ann enjoys going to the gym, riding her bike, and playing tennis. She also enjoys gardening and spending time with her son. Eve-Ann enjoys all areas of hygiene including advance periodontal therapy, advanced digital radiography, pediatric treatment, and geriatric treatment. She looks forward to serving our patients’ dental hygiene needs. Christina was born in Dearborn, Michigan and graduated from Miller High School in 1989. She has traveled and lived around the world in the past 16 years. Christina moved to Florida in 2007 from Wilmington NC and has been working side by side with Dr. Fox for 11 years. She attended college at Wake technical community college and University of North Carolina where she majored in Dental Assisting and studies in English and Science. Christina graduated from college in 2003 top of her class with a 3.84 GPA. She enjoys travel to exotic places with beautiful beaches. In her spare time you will find her on the beach or by the pool hanging out with her family. She has two beautiful daughters and four wonderful grand children. 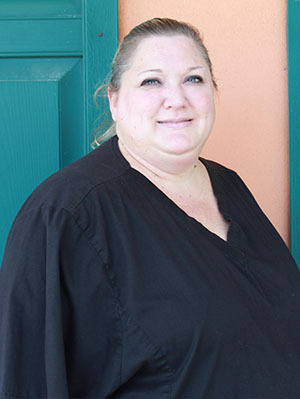 Christina is a CDA (Board Certified Dental Assistant) and has worked in dentistry for the past 16 years, she passed her National Boards in 2003. She attends continuing education and has been certified in adult and child sedation, airway management, phlebotomy, and implant surgery. 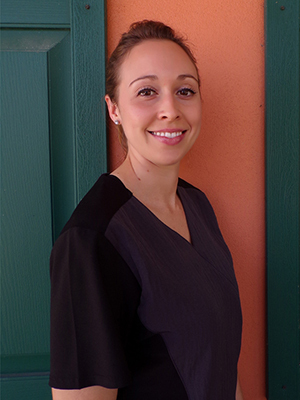 Christina thoroughly enjoys working with people by helping them to understand the importance of the care of their teeth and the oral cavity. She gets great satisfaction from knowing that she helped to improve a patients smile and helped achieve overall good health. Christina looks forward to working with you on all aspects of your dental care from the simple to the most complex treatment. Ashley was born in Fort Myers, Fl and was raised in Arcadia, Fl. After graduating from DeSoto High School in 2009, she proceeded to attend South Florida State College where she earned her Associates in Arts Degree and Associate in Science Dental Hygiene Degree. Ashley has a passion for dental hygiene and helping others care for their periodontal health. She has experience in treating patients with a variety of periodontal conditions and is enthusiastic in promoting oral health to all ages! Furthermore, she is CPR certified and holds a certification in administering local anesthesia. On a personal level, Ashley enjoy horseback riding, the outdoors, fishing, watching movies and spending time with her family. 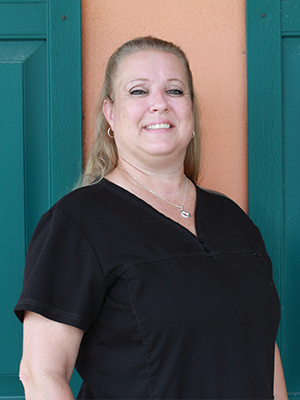 Ashley is looking forward to seeing you at Cayo Costa Dental soon! Born & raised in Florida. While attending Charlotte Highschool my junior year, I completed a year course of Dental Lab at Charlotte Technical College. After graduating Highschool in 2015, I continued my education at CTC in a 2 year Dental Aide Program. By 2016 I earned my certification as an Expanded Functions/Certified Dental Assistant. I am also certified in Radiology as well as CPR. I have 2 years experience in office with various dental & lab procedures working along side the Dr. from simple to major cases. It’s a great feeling being able to comfort & educate the patient on the importance of oral hygiene & to assist in the solutions of their diagnosis. I feel very lucky to have found my passion young & look forward to continuing my education here at Cayo Costa Dental. In my spare time I enjoy roller blading, going to the beach, & spending quality time with my family. Gretchen grew up in Marshfield, MA and graduated from Marshfield High School in 1987. She went on to study Early Childhood/Elementary Education at Wheelock College and graduated in 1991. While at Wheelock, Gretchen became President of her class. She made life long friends there that she still keeps in close contact with. In 2001, Gretchen moved to Dorchester, MA where she lived for the next 15 years. She was very involved in her community as a member of her local civic association, a past President of the Dorchester Holiday Committee and the President of the Dorchester Day Parade Committee. Gretchen and her husband would come to Florida at least twice a year for vacations and knew that one day they would move there. That day came in 2015, after a rough winter with over 9 feet of snow; they knew it was time to move. They now reside in Port Charlotte with their three cats, Boo-Boo, Buggy and Chloe. Gretchen has a step son, also named Ed, a daughter-in-law, Krysten and two adorable granddaughters named Jordyn and Layla. Gretchen has 13 years of experience in the dental field. She was the Practice Administrator of a Private Practice in Brookline MA for eight years before coming to Florida. Gretchen wants every patient to know they are important and will do her best to make each person feel like part of the Cayo Costa Family. When Gretchen is not at the office, she enjoys exploring her new home state, swimming and visiting Walt Disney World. She looks forward to meeting you all soon!